These Signature Iron Garage Doors were recently installed for this home near Gilbert Arizona. Each door is hand forged with high quality finish. All our garage doors come with track and hardware and can be built any size you need. Located just in Phoenix Arizona, we are able to maintain strong relations with homeowners and contractors across the valley. 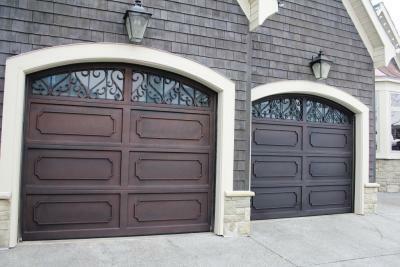 Call us and come visit our showroom to discover how you can obtain a Signature Iron Garage Door.